Keenan’s Goan compatriot Fulganco Cardozo too leaves after a season at the club. Reigning Indian Super League (ISL) champions Chennaiyin FC on Friday bid farewell to a long-standing member, Dhanachandra Singh, along with seven others from last seasons title winning squad. Bikramjit Singh, Keenan Almeida, Jude Nworuh, Fulganco Cardozo, Sanjay Balmuchu, Pawan Kumar and Shahin Lal Meloli parted ways with the club along with Dhana as their contracts with the two-time ISL champions expired on Thursday. 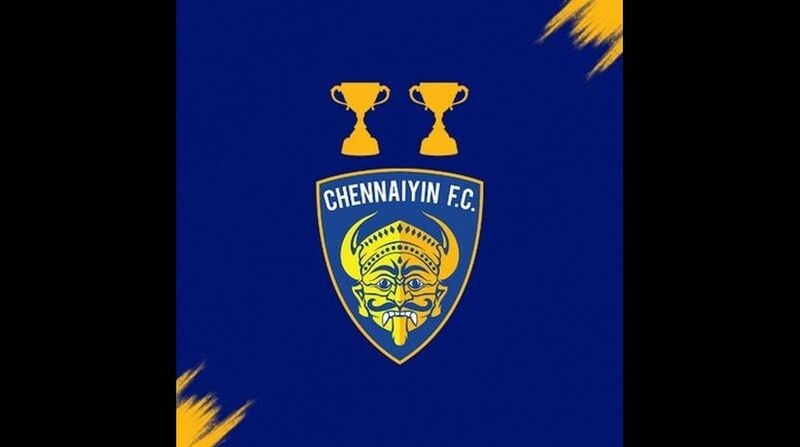 Chennaiyin have already retained 13 players from last season for their title defence, with head coach John Gregory and Sports Scientist Niall Clark also signing one-year extensions. It will be a landmark season in the club’s history with a first taste of continental football therein as participation in the 2019 AFC Cup beckons. A mainstay in defence, Dhana played in 26 of the 28 matches across the first two ISL seasons for Chennaiyin. He was an integral part of the backline that finished top of the league standings in 2014 before becoming champions the season after. Dhana scored a goal apiece in the first two campaigns, his second strike a memorable volley against Kerala Blasters right at the start of the five-match winning run that culminated in title triumph for Chennaiyin. A knee injury kept him out of the 2016 season before he played his part with three appearances in the previous campaign as Chennaiyin lifted the ISL trophy a second time. Dhana led the side in his final ISL game for Chennayin against Mumbai City last season, when the club had a record breaking ten Indian players on the pitch at full time. Chennaiyin also said goodbye to Bikramjit, who was a gritty presence in the Chennaiyin midfield enroute the title last season. He built a formidable partnership alongside Dhanpal Ganesh in the middle, with Chennaiyin being unbeaten in every game that he started. Another resolute presence departing from the club is Keenan, who slotted in at right-back at crucial junctures with his performance in a goalless draw away at Kerala Blasters eventually sealing qualification for the play-offs. Keenan’s Goan compatriot Fulganco Cardozo too leaves after a season at the club with one senior appearance to his name. Sanjay Balmuchu along with goalkeepers Pawan Kumar and Shahin Lal Meloli will also not be turning out in Chennaiyin colours next season. Pawan joined the club midway through the triumphant 2015 campaign as a replacement for the injured Nidhinlal and like Dhana he was part of both the title winning squads. He departs now after keeping a clean sheet in his final match for the club against Mumbai City last season. At the other end of the pitch, Chennaiyin bid adieu to its pacey Nigerian attacker Jude Nworuh, who was a lethal component of the squad from the bench. He made a total of 11 appearances for the club.